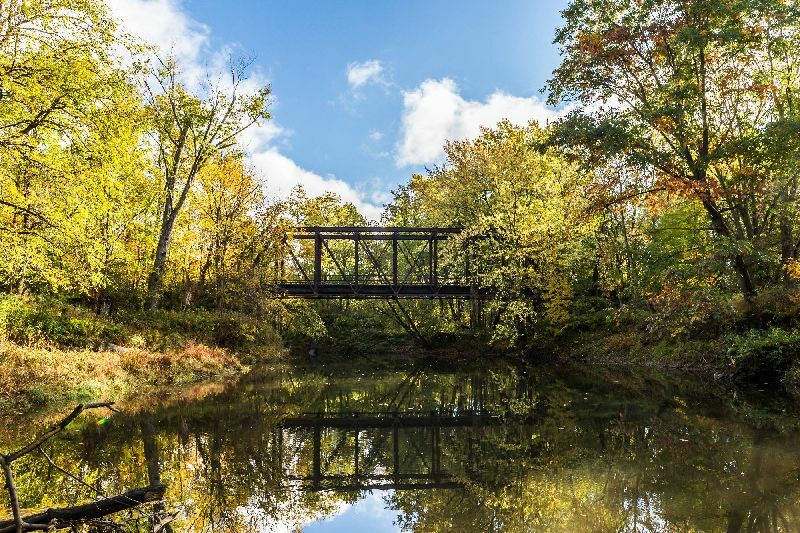 Welcome to Conneaut Creek Outfitters. 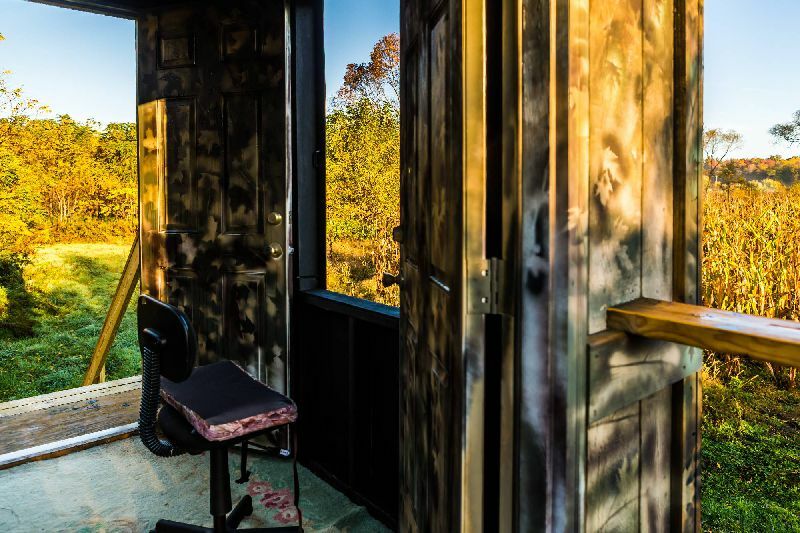 We offer deer and turkey hunting on over 750 private acres. 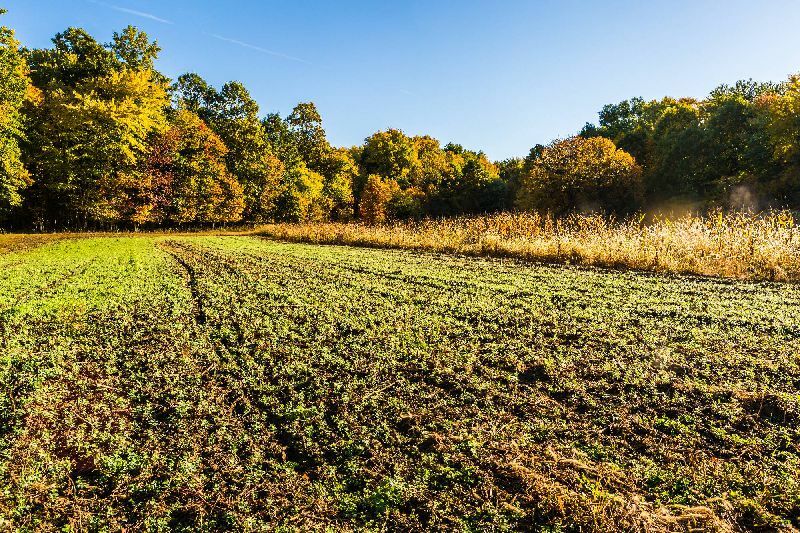 Our hunts are 100% fair chase on property consisted of hardwoods, crop land and food plots. 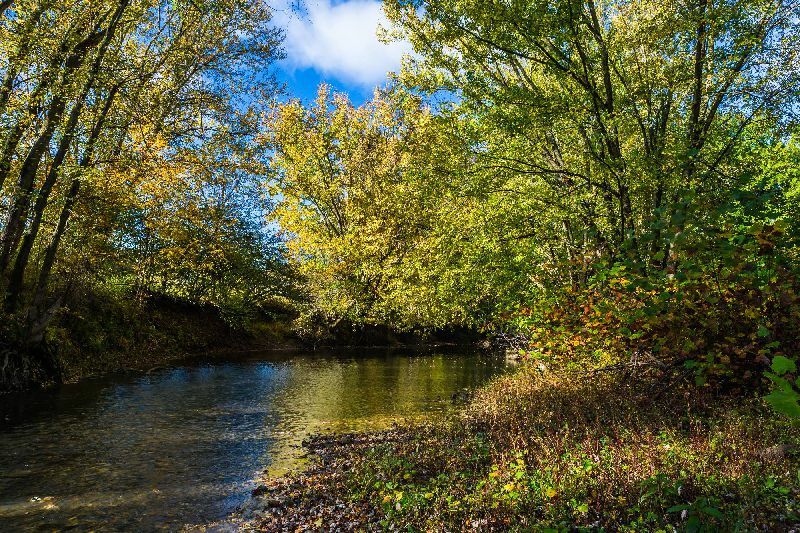 We also have two miles of access to Conneaut Creek for our guests wishing to fish for Muski and Steel Head. 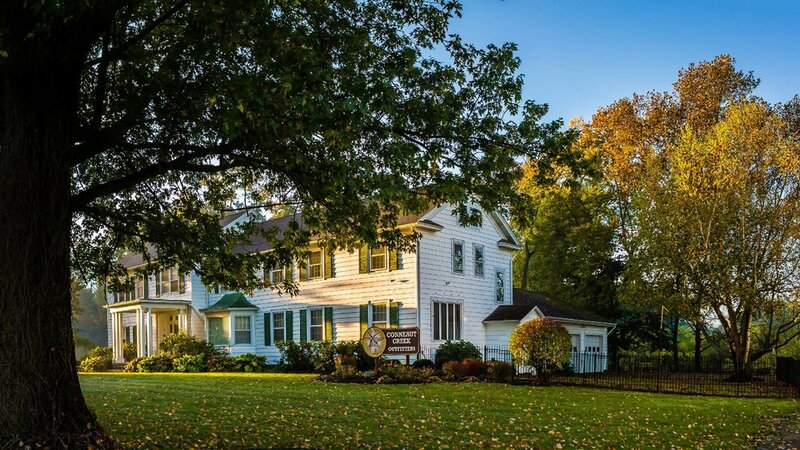 We are located in Erie County in northwestern Pennsylvania. Our lodge lies within 10 miles of Elk and Walnut Creek- both providing excellent fishing opportunities. We are easily accessible from Buffalo, Cleveland, and Pittsburgh airports. 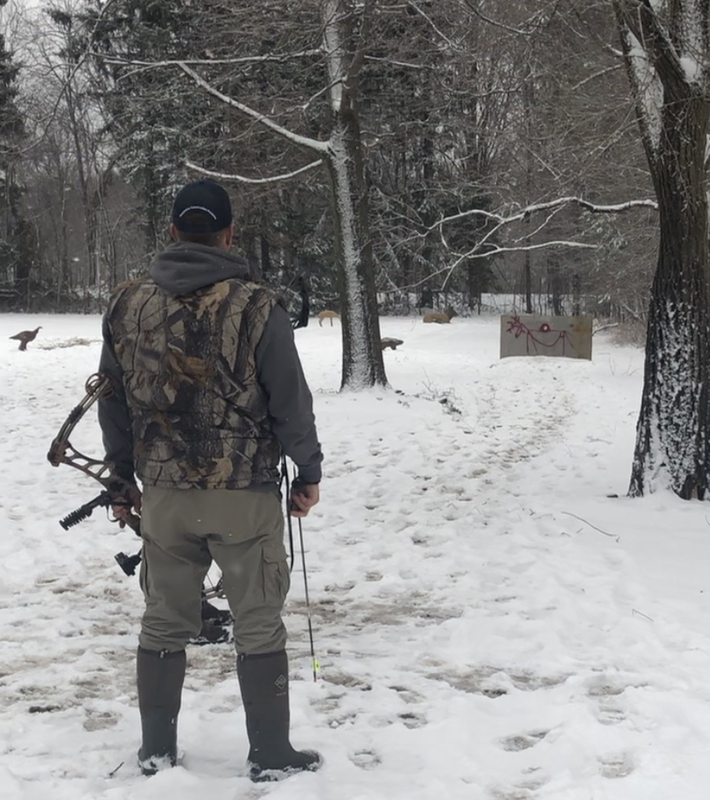 Hunting areas are easy to reach via access roads and paths. We also have golf carts available for your convenience. Please call or email us today and inquire about our three day turkey and deer hunts or fishing trips. 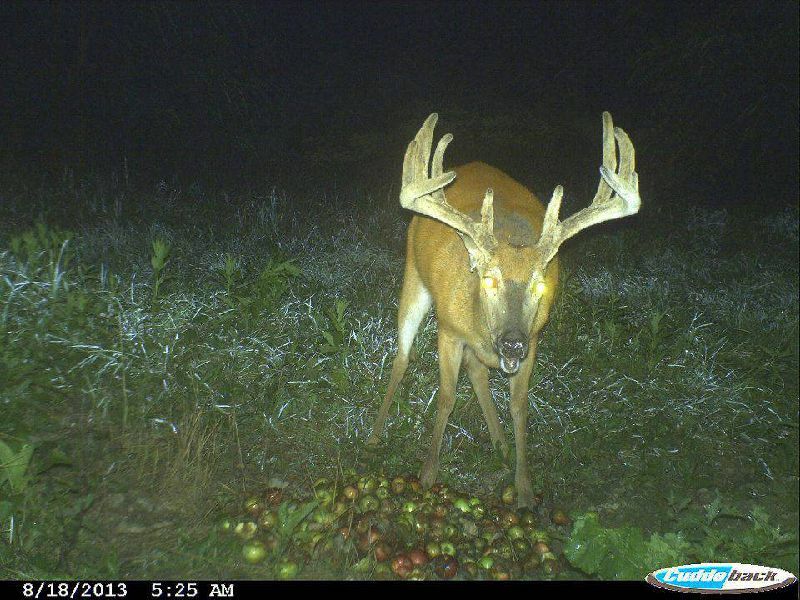 We are happy to offer observer/photographer rates for all hunts. 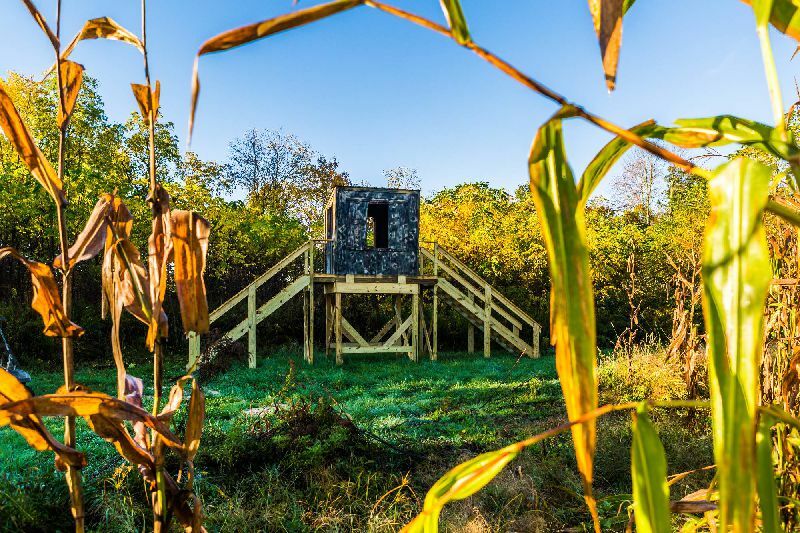 Conneaut Creek Outfitters offers year-round hunting memberships on a limited basis in order to limit hunting pressure and provide a comfortable, private hunting experience. 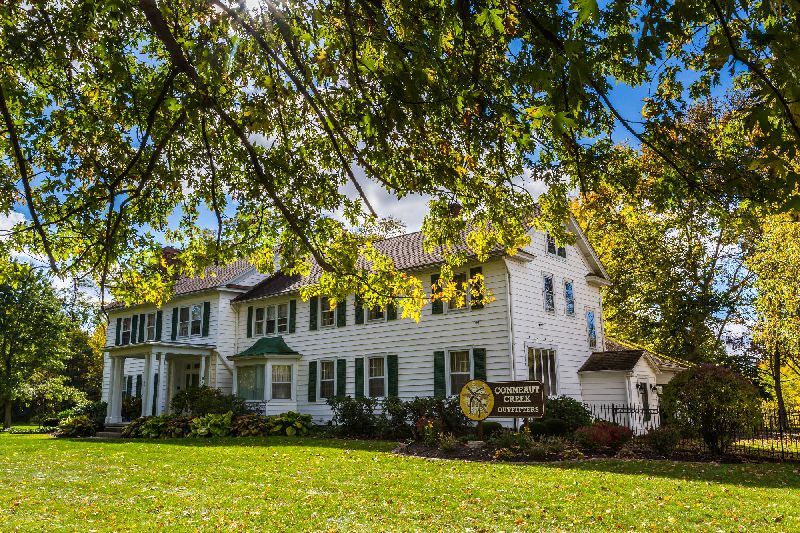 We are located in scenic northwestern Pennsylvania among the beautiful patches of hardwoods, crop land and farming country. We can be reached in less than a two hours drive from any of the three closest major airports: Buffalo, Cleveland and Pittsburgh. 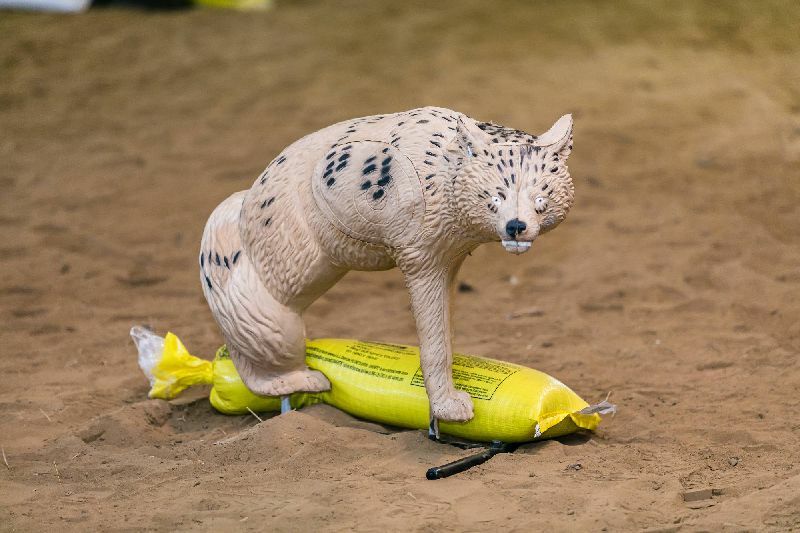 Our property is low fenced and we offer a 100% fair-chase hunting experience. 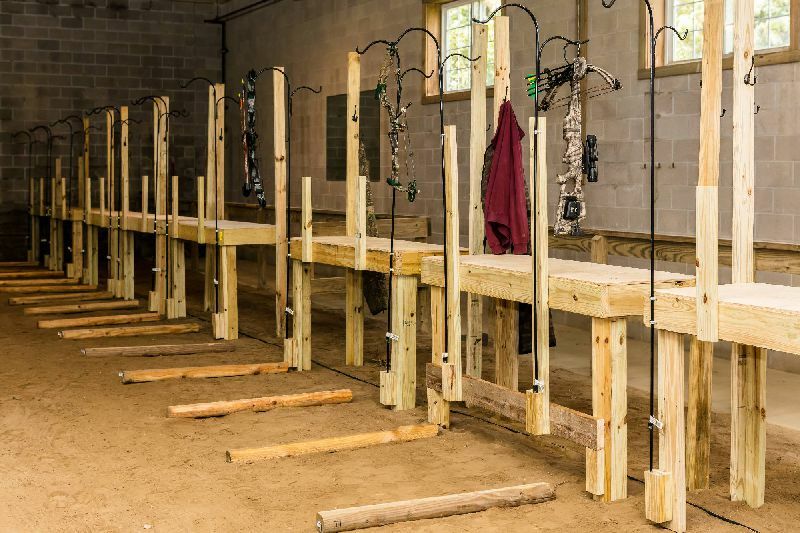 We welcome archery hunters as well as those who prefer to use firearms (in the appropriate seasons). 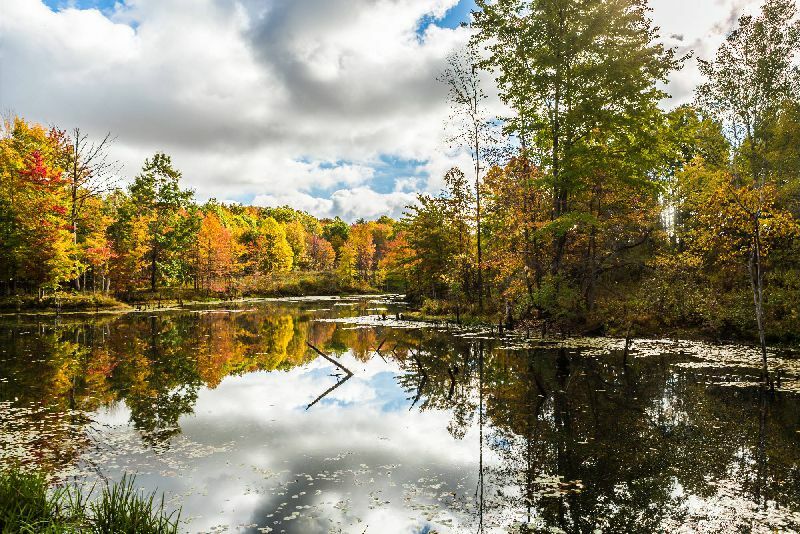 We offer deer hunting, turkey hunting and over two miles of access to Conneaut Creek for Steel Head and Muski fishing. In addition to several tree stands and pop up blinds, we do have a couple of solid box blinds available fort harsher temperatures. 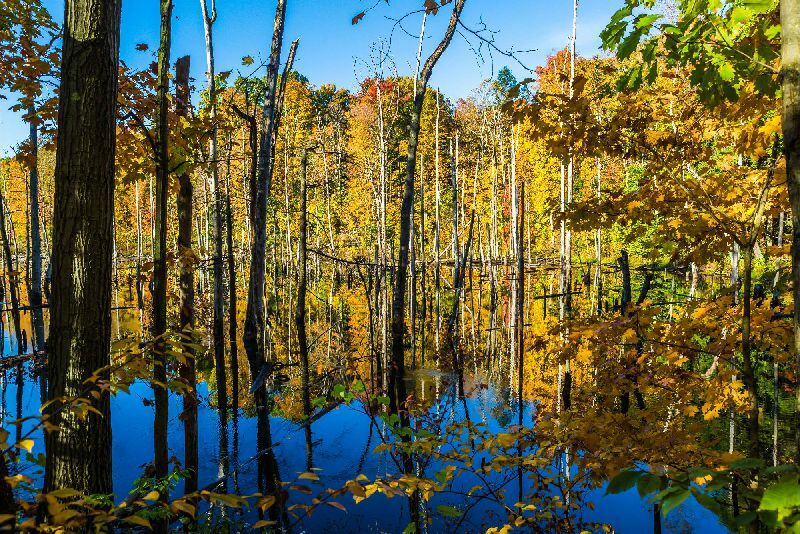 Fall hunting in this part of the country is generally cool and favorable. Our guests will relax in comfort in our spacious, five bedroom lodge which was newly renovated in 2016. We have two king size bedrooms, one queen size bedroom, and two bedrooms each containing two single beds. All bedrooms have a full private bath. 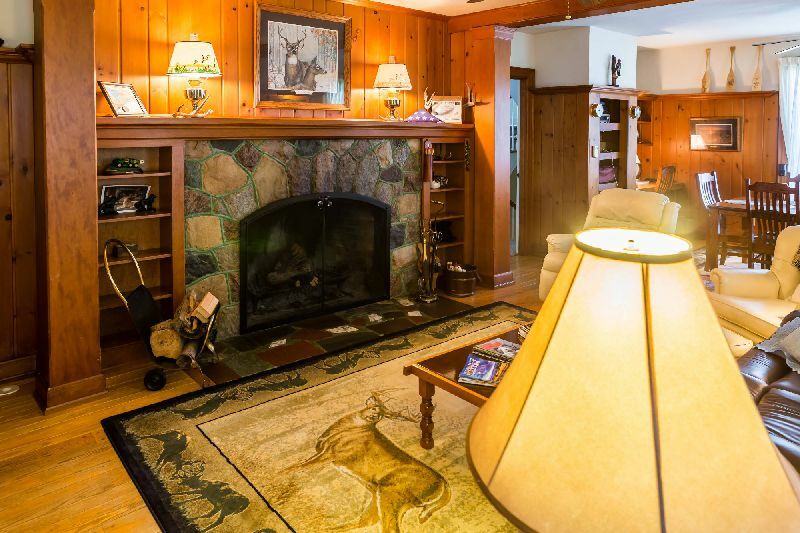 Get cozy after the hunt near one of our two fireplaces, or on our deck and patio which provides an awesome view of Conneaut Creek and our hunting property. For your convenience and pleasure, the lodge is equipped with wireless Internet and satellite TV. 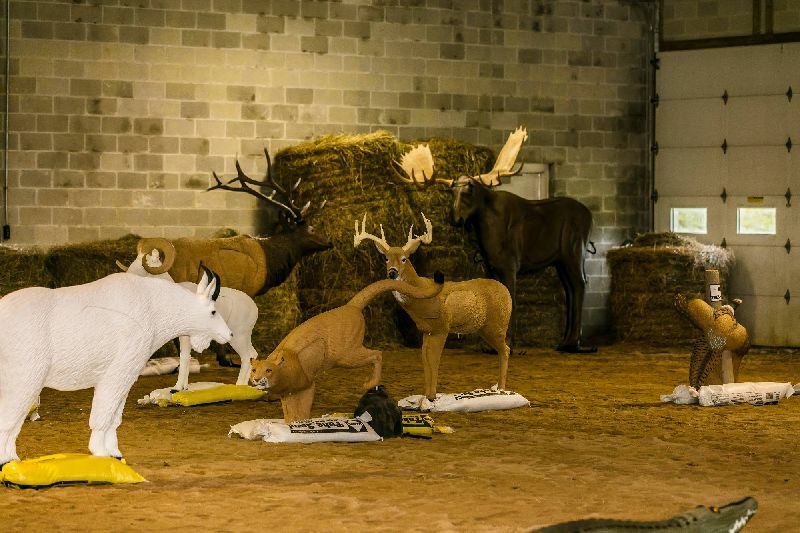 Our lodge is available for non-hunting rentals. Contact us today for rates and availability. 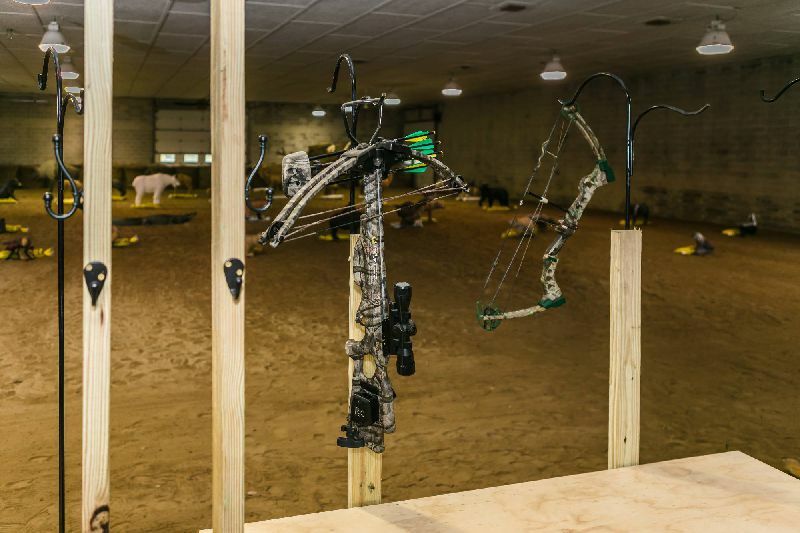 Conneaut Creek Outfitters is home to Western Pennsylvania's top indoor archery range. 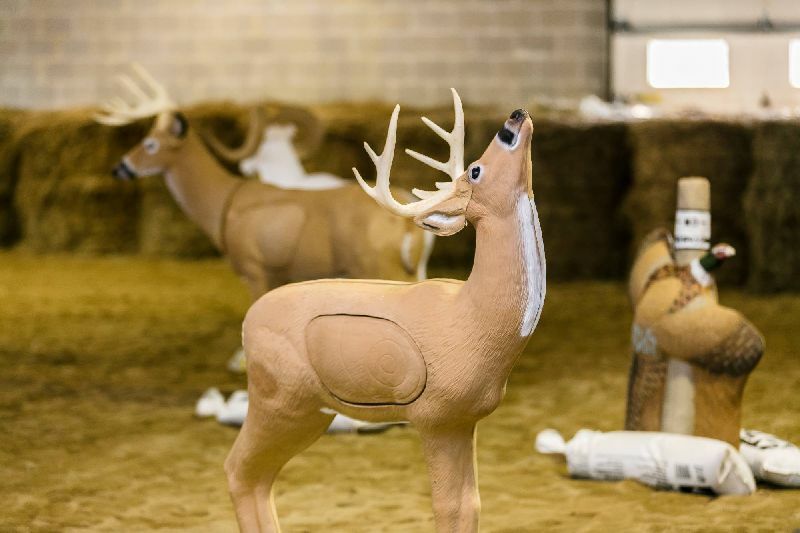 Set your sights in our heated, 18 lane facility that has bullseye targets at 10-15-20 yards and 30 3D targets featuring North American game species at varing distances between 8-34 yards for your practice sessions. 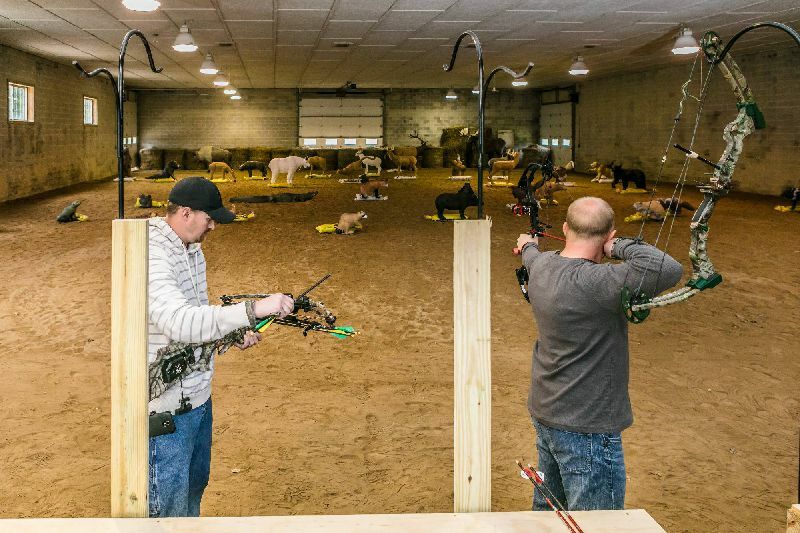 The range is open to the public and rounds are $15 each (a round is 36 arrows: 2 arrows for each bullseye target and 1 arrow for each 3D target). 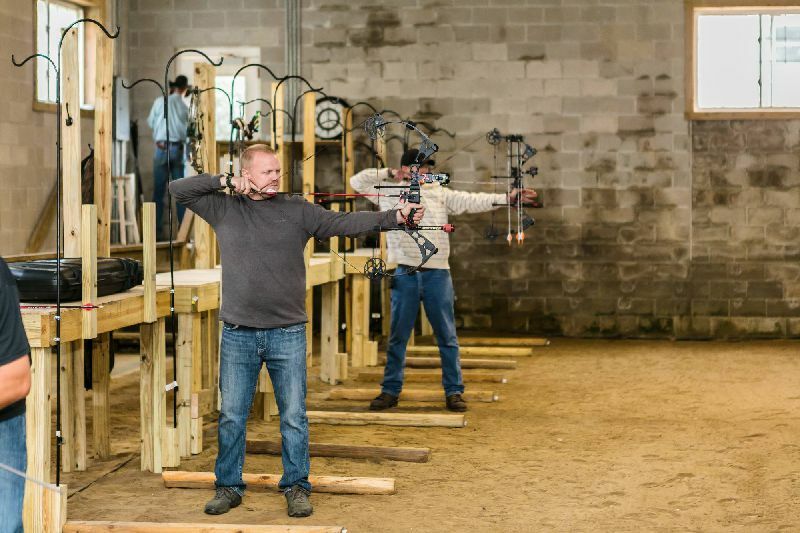 The range is open January-March every Thursday 4pm-8pm, Saturday 9am-1pm and Sunday 9am-1pm. April-December is by appointment, call us at 814-756-3024! 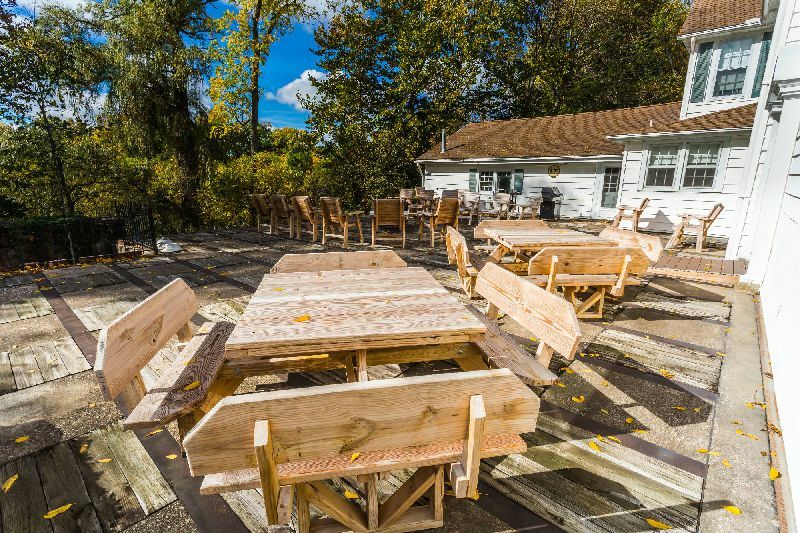 Welcome to The Barn at Conneaut Creek, a wedding, special events venue nestled along the banks of Conneaut Creek just thirty minutes from Erie and centrally located two hours from Cleveland, Pittsburgh, and Buffalo. 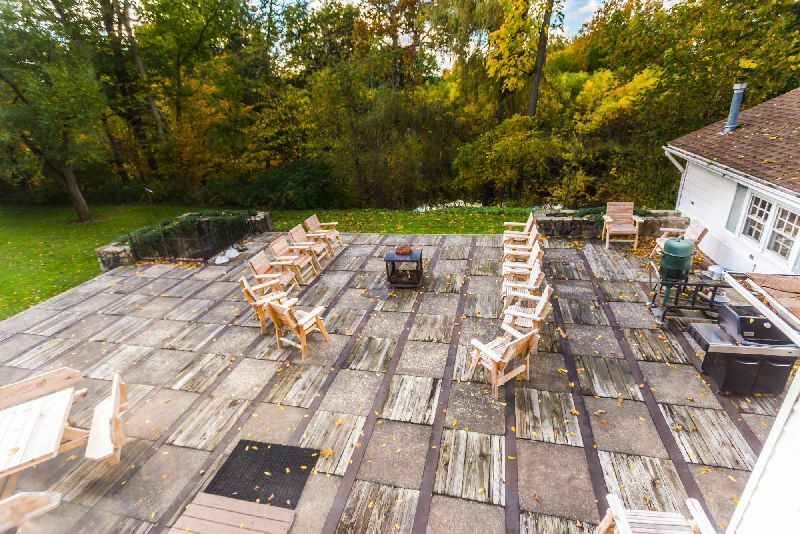 Not just banquet halls here, choose to have your event in the open-air rustic barn, on the large lush side lawn, or on the back patio overlooking peaceful rippling waters. 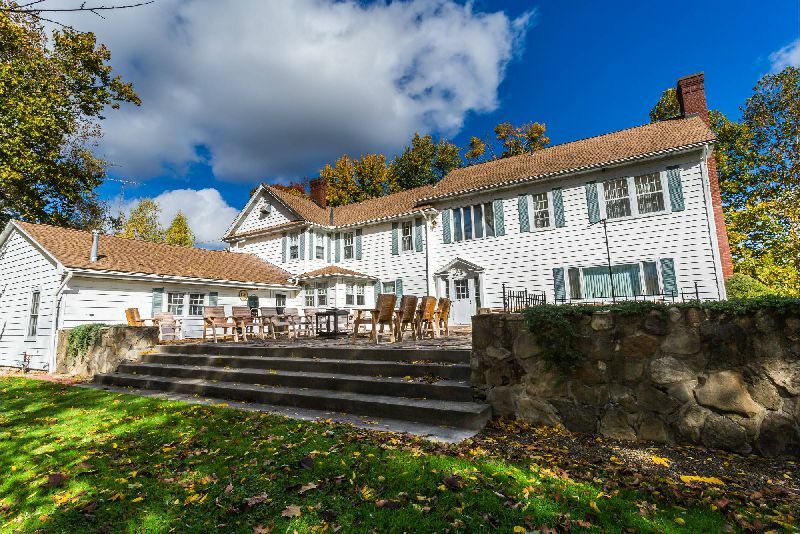 With 300+ acres and onsite housing, The Barn is perfect for destination weddings or weekend gatherings. Click the image above to contact us today to set up your personal tour and learn everything about this wonderful venue!